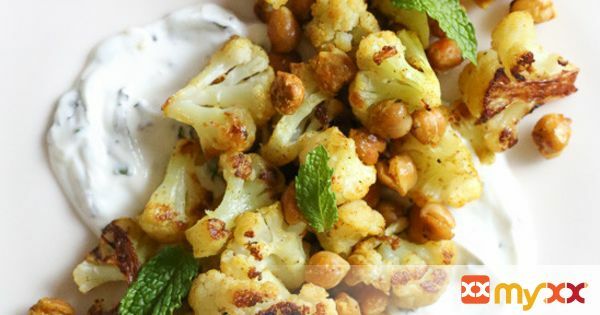 I decided to create this roasted cauliflower and chickpea dish with minty yogurt. It’s great for lunch or as a side dish with dinner. I added a touch of sugar to the yogurt because I think the sweetness balances out the flavors. The lemon zest and mint really brighten things up and I like the contrast between the cold yogurt and the warm cauliflower and chickpeas. I hope you like it too!